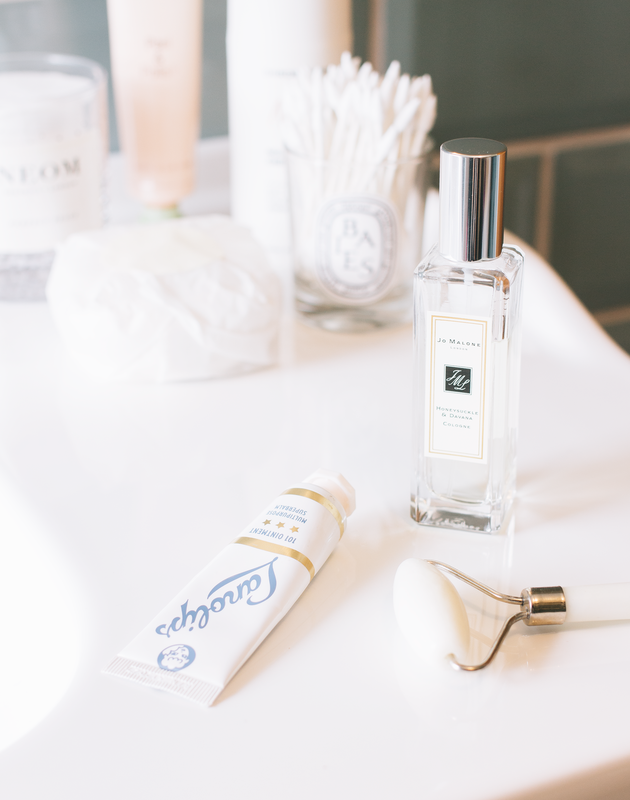 After browsing my own archives I noticed it’s been a good whilst since I’ve shared the beauty products that are tickling my fancy at the moment. I’m desperately trying to cut back on on the amount of stuff I have and that also means keeping my beauty stash to somewhat of a minimum, which is hard as I absolutely love the stuff. There is nothing that makes my heart flutter more than a good foundation or a new acid toner on the market that promises the smoothest skin you’ll ever know. So here are my current beauty loves, naturally there's a couple of familiar faces but there's also some new bits that have wowed me lately! I recently worked on a project with Clinique (this post) and this was one of the products that was part of that work and it’s something that I’m utterly obsessed with. Sun protection is not something that is just for the warmer months, it’s something that we should have on our skin all year round. 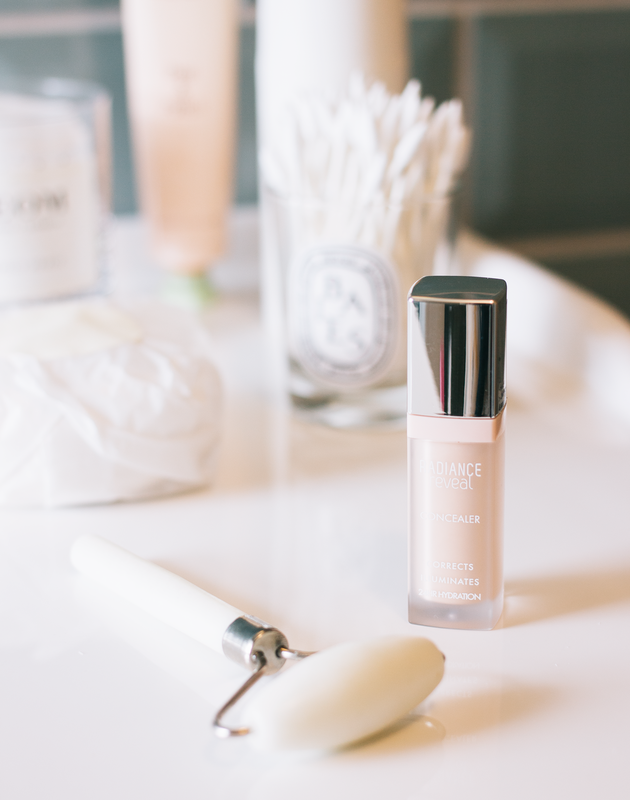 I don’t wear makeup that much throughout the week but there are some days where I would like my skin to look a little more perfected and that is exactly what this product does. It glides over my pores and makes my skin look far smoother than it actually is as well as protecting it from the sun and everything else the world wants to throw at it that day. It feels exactly like a primer upon application and is flesh toned but that doesn’t transfer onto the skin. And even though this is the oil-free version it’s certainly not drying at all and can easily be used in place of moisturiser on oiler days. The City Block is a cult product from the brand and it’s not hard to understand why as this has become such a staple in my routine. After organising my new bathroom cabinet of dreams (see this Instagram post to look what's inside) I pulled this out into my daily rotation and I’m so glad it did. 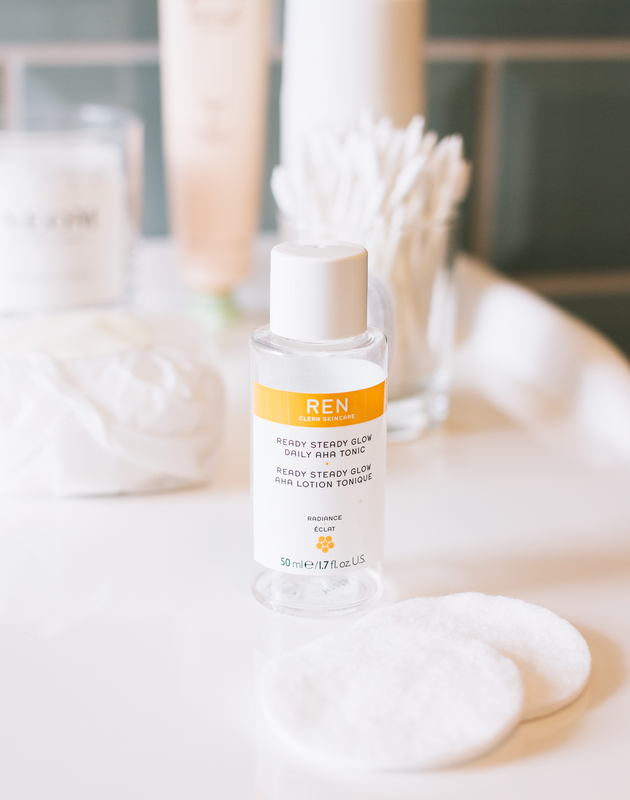 REN skincare isn’t something I’m overly familiar with but everything I have tried has been fantastic and this toner is no exception. It contains lactic acid which isn’t something that I’ve ever used that much skincare wise and it’s worked wonders on my tired slightly ratty looking complexion. I used this religiously during our bathroom renovation and I can’t say that was a good time for my skin, washing your face in the kitchen isn’t ideal by any means but this helped keep everything bubbling under the surface stay at bay. As my skin isn’t used to lactic acid I got that ‘tingle’ that you’ll be well aware of if you’re a lover of acids but not once was my face left feeling stripped of moisture and not a glimmer of any redness. Although this was only a 50ml size it showed instant results and is now in my top 5 toners which is saying something. Once I’ve got my way through my toner stash I will most definitely come back to this as it's fantastic. 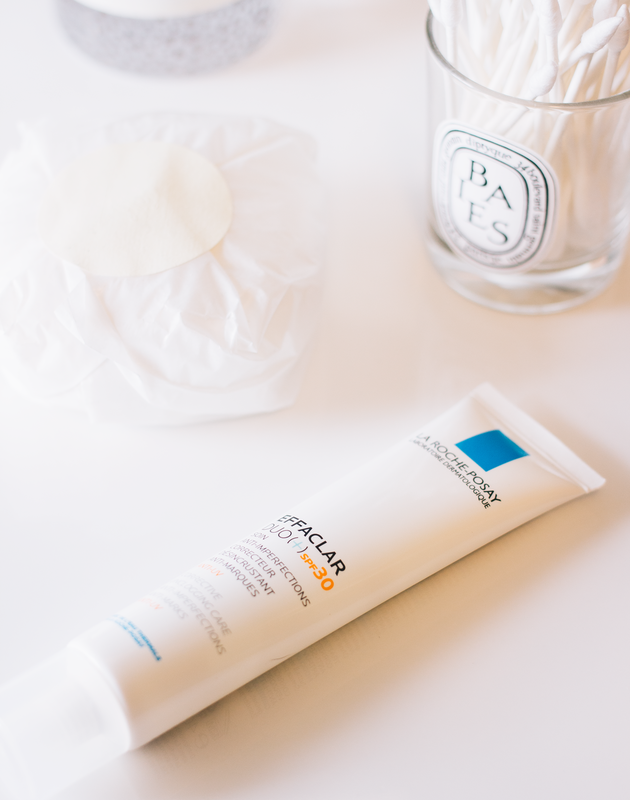 As always with chemical exfoliants make sure you're vigilant with using SPF! 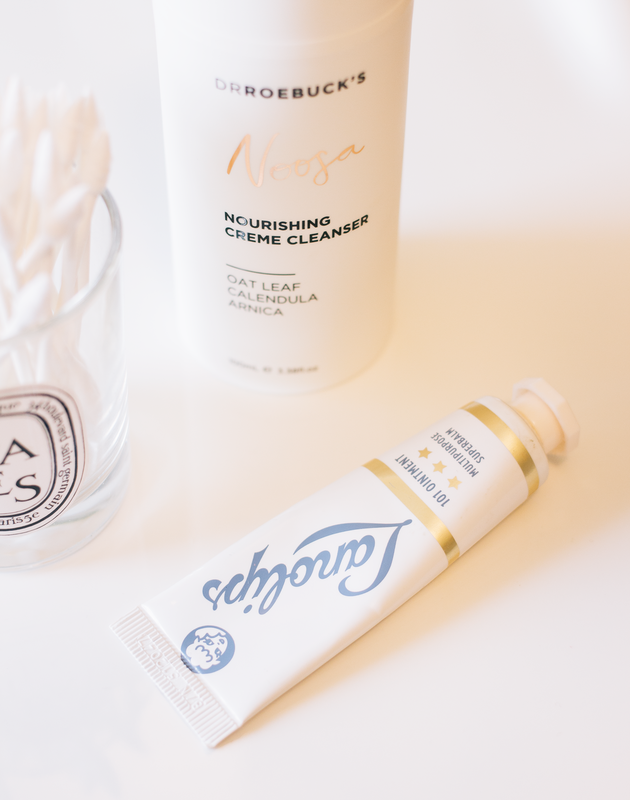 If you’re a really long time reader of this blog, in particular, my beauty posts then you will know all about my absolute adoration for this product. It completely changed the state of my skin 5 years ago and as my skin went through its usual transitional freakout I turned back to this to see if it would still work its magic. If you’re not familiar with this product it’s an unclogging serum that keeps on top of everything that is coming out your pores and the formulation now not only contains SPF but it also helps tackle scaring too which when your blemish prone is an absolute must. I can't be the only one who finds scarring harder to cover up than the blemish itself can I? I will say that this is quite a marmite product and it either works wonders for your skin or it doesn’t. For me it really does work, it clears everything up that might be lurking and it also really helps with any texture issues that I might have. And one of the best things about this product is that it's not horribly expensive. I’ve lost count of how many times I’ve seen a facial roller in someone’s bathroom cabinet. And I’ve always wanted one but never known if they were something that actually worked or just looked nice but it turns out they do. I’ve been rolling my face at any opportunity and it’s something that I find ridiculously calming. And it’s excellent for helping with any puffiness as I’m very sensitive to the amount of salt I eat and never drink anywhere near the amount of water that I should so I tend to puff up quite a lot. So this has really helped take that out of my cheeks and in general, makes my complexion feel very calm and soothed. 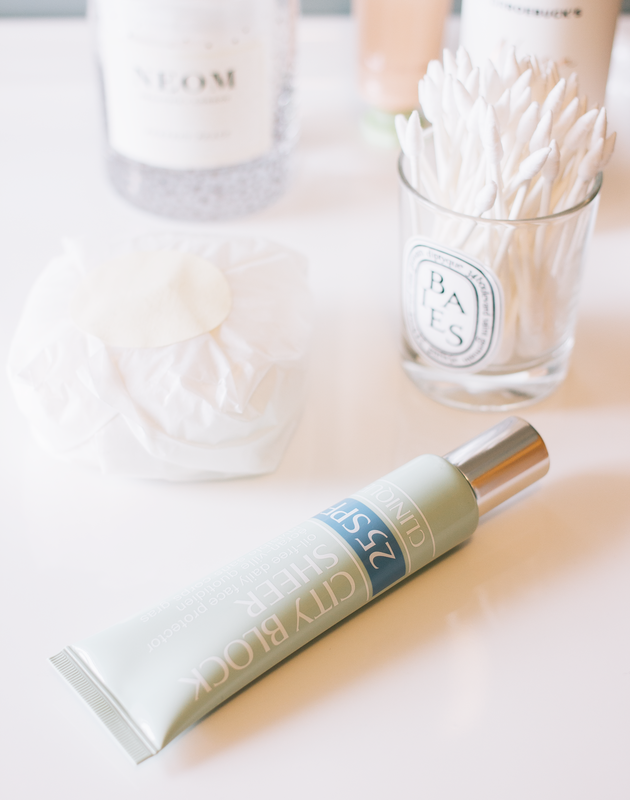 It’s a princess product, there is absolutely no denying that but it’s something that feels oh so good and something that I’ve thoroughly enjoyed incorporating into my skincare routine. This is a product that I feature time and time again as it’s such a staple in my routine, especially in the winter months. If you’re not familiar with this cult item it’s a do it all balm that can be used for a multitude of ailments but for me, it’s my go-to when my lips are really feeling the effects of the weather. It seems like October and November have switched temperatures and things feel a little all over the place right now and my lips are terribly chapped because of it. But this returns them back to their usual supple state within just a couple of uses and I tend to use it when I know I’m going to be out in the cold for a while as it creates a protective barrier over my lips. I can’t imagine anybody not getting on with this unless obviously, you’re allergic to lanolin. A product that I’d been a little lax within my haircare routine is heat protectant and considering how much I use heat on my hair it’s terrible that I’d been going without it as it is something that my hair needs especially now as it’s bleached. But I’ve rectified my bad behaviour and now something that I use religiously is a product from Knight & Wilson which is absolutely brilliant. If you’ve used the Bumble & Bumble Hairdresser’s primer then it’s very much like that not only with the way that it smells but the effect it has on my hair. It helps keep my style for longer as well as keeping my hair super soft and as somewhat of a blonde that’s not always easy to achieve when using heat. Dark circles aren’t something that I struggle with that much but something I do really suffer from is under eye bags. Sometimes they’re so bad that I look like I’ve got another set of eyes underneath my actual eye, not a good look at all. So I need a good concealer that can not only brighten the area but help diminish the appearance of obscene bags too. This is such a brilliant little product for doing both and it’s somewhat budget friendly which is good as I don’t tend to love spending loads of concealer and tend to invest more in my foundation. It brightens the area just enough but it’s not shimmery or glittery which is so important in any under eye products I'm using. Sadly the shade range available for this product is absolutely dire and that’s something that I find across the whole brand, which in 2018 is absolutely inexcusable. I’m not sure why but whenever I hear the word detangler it instantly takes me back to my childhood (that product in the green bottle anybody?) but it’s something that I’ve needed lately. As my hair is getting longer and with the cold weather well and truly on us that means my hair is wrapped up in coats and scarves and slowly turns into a birds nest throughout the day. So when it comes to brushing it, it’s painful even with a Tangle Teezer but using this has helped tremendously. Not only does it help with tangles, it smells nice and it also adds a little bit of moisture back into my hair which obviously at this time of year, is a must. You can use it on wet or dry hair but I tend to stick to when my hairs dry as that’s when it needs it the most.